Some interesting Charts seen in the weekend. Interesting Triangle Pattern. 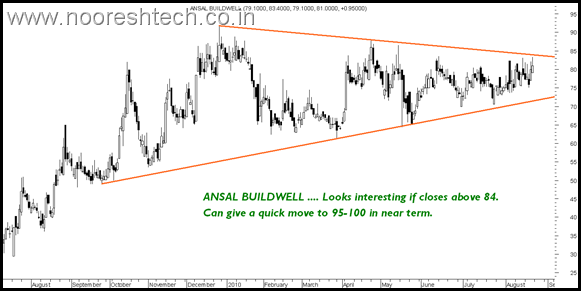 The stock can give a quick move to 100 if able to stay above 84. 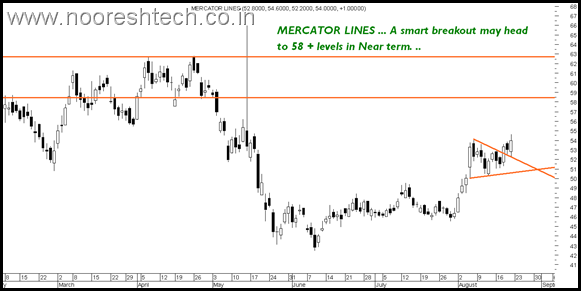 The stock has given a nice breakout at 300 levels and should head to 315-320 in extreme short term and then to much higher levels ideally. 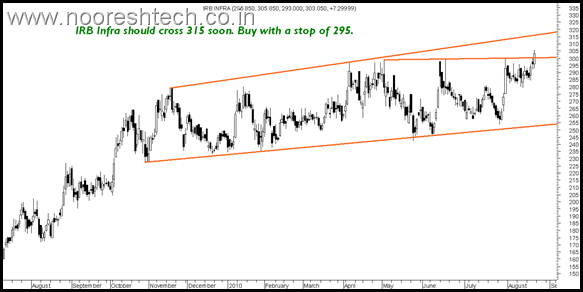 Buy with a stoploss of 295. Dislcosure Recommended to clients at 297-299. 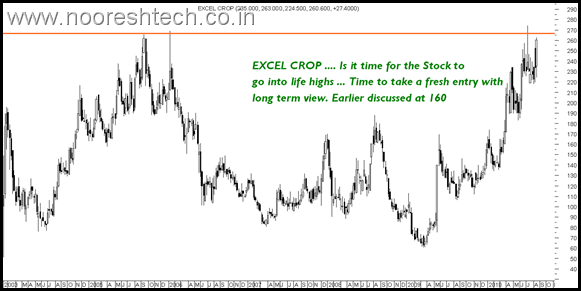 This is one excellent long term stock in the Agro Space. It was earlier advised at 160. Now the stock has given a fresh breakout and is mostly headed to new highs which is an indication of better times to come. Investors with patience should have a re-look on the stock with long term view. Stock could do 400 in long run. Mid-Cap Banking stocks look good… Shipping warming up for a move.